City of Oxford Swimming Club offers its swimmers the opportunity to take part in Open Water Swimming at the Queenford Lakes in Berinsfield. We currently have two squads that have a performance focus and are trained by volunteer Coach Ian Keys (Level 2 Open Water Coach). Ian is looking to grow this part of the club and offer swimmers the opportunity to develop and strengthen our position at County, Regional and National open water events. 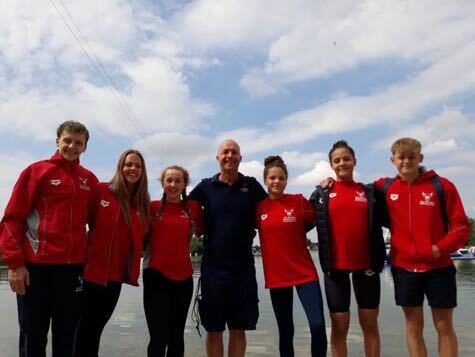 Ian is also looking to develop a younger squad and is specifically aiming this new section of the Open Water Swimming squads at our development and potential squad members. Who should consider open water swimming and how to join? Open water swimming is perfect for those swimmers that are already focused on long distance swimming (800 and 1500m in the pool) and have an interest in triathlons. Squads are performance focussed and all swimmers need to be of a similar ability, so they can stay together during training. 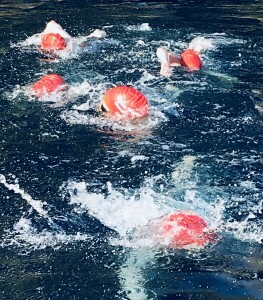 Trials to join the open water squads, typically take part at the Queenford Lakes during July and August and information on exact dates and times are released in the weekly newsletter. If you or your swimmers want to know more about open water swimming, ask your squad representative to arrange a meeting with Coach Ian Keys.